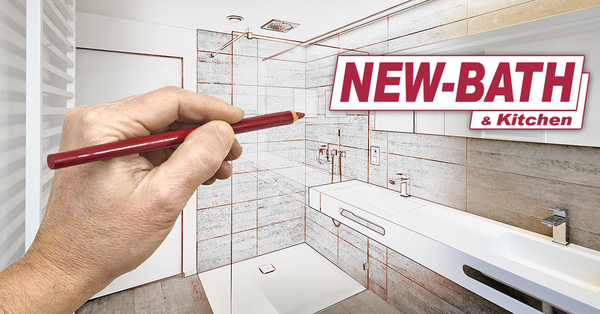 Selecting the right bathroom remodeler is important no matter if it’s a small bathroom or a huge master suite. Here’s why. The goal of any home improvement project is to end up with a gorgeous update that instantly raises the value of your home. With that in mind, we’d like to offer you a series of blog posts that talk about the ins and outs of bathroom remodeling. Let’s get started with this basic fact: Remodeling contractors are not all the same. Take time to vet them using some of our suggestions below. Probably one of the most important ways to vet a bathroom remodeler is to visit their showroom. There you can get a feel for the quality of the company’s staff and know if you would feel comfortable using their bath remodeling services or not. You can also check the variety of products they offer. Check to see if they carry the brands and models that you use and trust. Toledo New Bath and Kitchen has two conveniently located showrooms in the Toledo area. Visit our Reynolds Road or Bennett Road location to see and try out our products, including our selection of walk in tubs. Our friendly and knowledgeable staff is ready to provide answers to all your questions. We'll help you choose the right products for your needs and budget. Plus, we'll offer practical advice to make sure you are getting exactly what you are looking for in the remodel process. You really should check the company's credentials by seeing if they are licensed to work in your area. You’ll also want to make sure that they have licensed plumbers working with them. You could go even further and see if they have a good record for customer service with the Better Business Bureau (BBB). Checking references for a business is the best way to know the company you are hiring for your bathroom renovation does a good job. You can talk to people who have used the company in the past. Be sure you ask them if they liked the service and the results. Eliminate the companies that have red flags like bad service or poor materials. Getting the quote in writing means you know what you will get for your money. A quotation (quote) is an agreed fixed price. That means, if the work goes as planned, you won’t get any billing surprises when the job is done. OFF TRACK, BUT IMPORTANT - You’ll want to make sure to ask about the company’s policy on making changes to your dream bathroom once you’ve receive the quote. If you change the scope of work, it’s likely the price will change too. Ask for a copy of the new estimate after you’ve made a change. Keep all the copies with you so that you have a record of the changes in the work and the pricing. Ultimately, Toledo New Bath & Kitchen is the best place for you to go to get the help that you need with a new bathroom design and complete remodel. Together we can design your dream bath! Once we complete our free in home consultation, we’ll give you a clear estimate that you can follow with no trouble or hang ups. Better yet, you’ll never be surprised when working with our staff. With over 40 years of experience, Toledo New Bath will be your first and last stop for all your bathroom remodeling needs - at a price that won’t break the bank. Visit one of our two local showrooms to get started today. Don’t forget to ask about our limited lifetime warranty and 1- day installations! Like us on Facebook and get notified when we post the next article in this series.